So remember last week when I was all excited about it being spring and everything was coming up roses? Yeah, well that was before Mother Nature decided to laugh in our face and pull the rug from under us by welcoming the new season with yet another snow storm and another round of frigid temps. Same here girl..so over it! 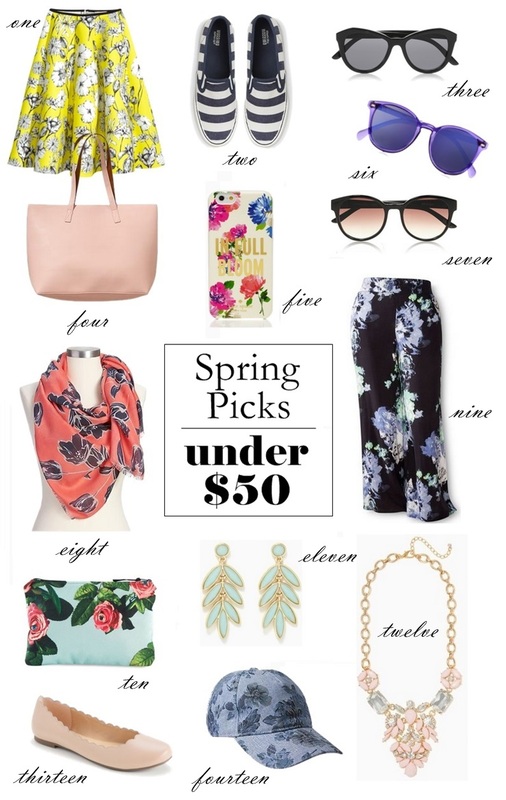 I love all of these pieces especially that skirt and tote bag!